#RVAbreastfeeds is pleased to announce the first ever Black Breastfeeding Week RVA, a social media campaign celebrating breastfeeding within the African-American community. The local campaign occurs in conjunction with National Black Breastfeeding Week, which takes place across the United States August 25 - 31. 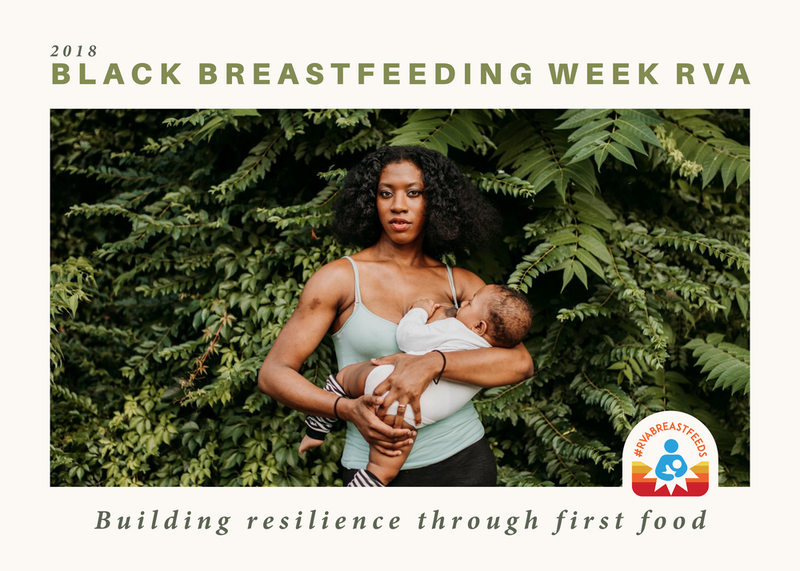 Black Breastfeeding Week RVA is sponsored by #RVAbreastfeeds, a local coalition that seeks to reduce childhood obesity through policy, infrastructure, and environmental changes that promote a breastfeeding-friendly community. The Black Breastfeeding Week RVA Celebratory Kickoff will take place at 16thAnnual Happily Natural Day, a celebration of black consciousness that promotes cultural awareness, holistic health and social change throughout the Black Diaspora. Festival attendees can expect music, culinary workshops, demonstrations, vendors, urban agriculture and more. The social media component of Black Breastfeeding Week RVA will highlight the challenges and triumphs of breastfeeding while black. "Black Breastfeeding Week is so integral and essential because, even today, black women do not breastfeed at the same rate as their whites counterparts. Mothers lack the education, advocacy and support that they need in order to be successful at nursing. I hope that we can change this statistic one city at a time," says Tasha Dixon, member of the Black Breastfeeding Week RVA planning team. Information about the Happily Natural Festival can be found at www.thenaturalfestival.com and on Facebook at @happilynaturalfestival. The Black Breastfeeding Week RVA planning team members include Tasha Dixon, Nikiya Ellis, Courtney Glenn, Shakeya Lewis, Rashad Lewis, Leslie Lytle, Kaylani Christine Morrison, and NyTasha Stevens, with additional support provided by #RVAbreastfeeds coalition members. 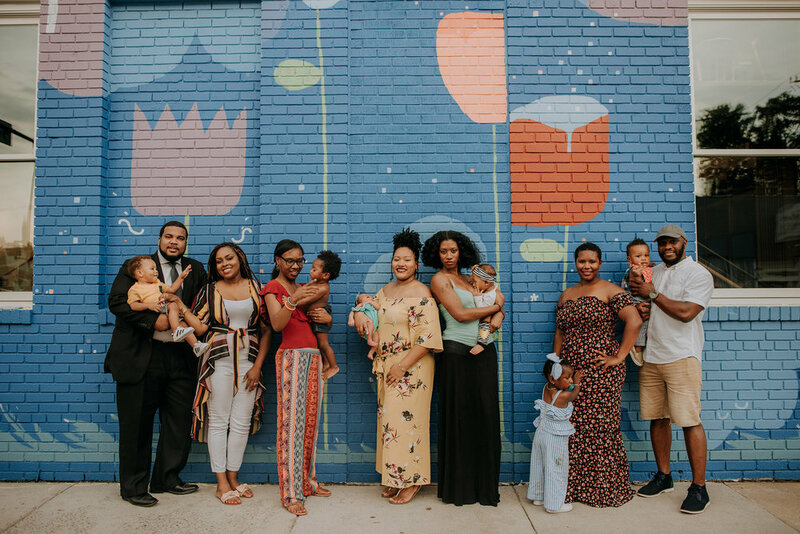 Richmond, VA – The social media campaign, RVA Breastfeeds, has been launched to raise community support for breastfeeding mothers during World Breastfeeding Week, August 1 – 7. The campaign is sponsored by the Richmond Health Action Alliance, a coalition funded by the Virginia Foundation for Healthy Youth and administered by the Richmond Healthy Start Initiative, a division of Richmond Department of Social Services. The Richmond Health Action Alliance seeks to reduce childhood obesity through policy, infrastructure, and environmental changes that promote a breastfeeding-friendly and physically active community.